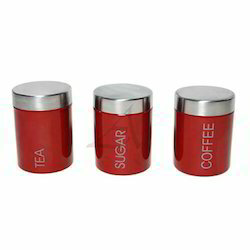 Offering you a complete choice of products which include steel container, steel tea coffee sugar container and steel storage box set. 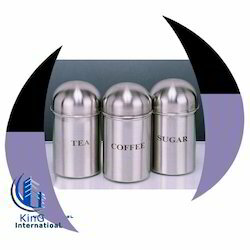 These are provided in different specification to meet the diverse requirement of client. These are made from high quality raw material. Before making the delivery of our products, our experts rigorous check them on prescribed parameters. Packaging Details: As per the buyer requirement. 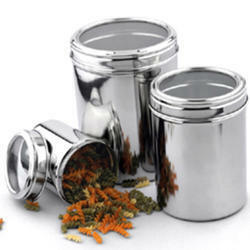 Offering a wide range of Steel Tea and Coffee Container. These are made from high quality raw material. These are provided in different specification to meet the diverse requirement of client. Varied quality tests are conducted by our experts on defined parameters, in order to assure that, products are in compliance with the set industrial standards. Packaging Details: As per the Buyer Requirment. Each piece is durable and made from premium quality to suit your need.